The speckled landscape as well as diverse ecosystem in the Grand Canyon is an artist?s canvas necessary in the creation of his masterpiece. The Upper and Lower Sonoran have a diverse wildlife that is perfect for that animal and wildlife photography. The stretch of the mighty Colorado River inside the Grand Canyon walls is just perfect for action shots as well as breath-taking close-ups. For the macro enthusiast, the arid landscape is full of critters and other crawlers that can make interesting subjects for a frame-filling shot. For the snap shooter, there will always be opportunities for selfies as well as timed images. For the more tech-savvy, you can immediately upload your photos on the world?s best social media sites. You don?t necessarily need fancy post production tweaking or filtering because nature itself has already provided the best backdrop for you. [iframe id="https://www.youtube.com/embed/mVg0L4rH_tg?rel=0" align="center" mode="normal" autoplay="no" aspect_ratio="16:9" maxwidth="700" grow="no"] Choosing the Best Sites There are multiple view points in the Grand Canyon including many found at the South Rim in Grand Canyon Village, which is the most popular tourist area in the national park. However, very few have the opportunity to photograph the canyon and whitewater rapids from the Colorado river. This is where we come in! We at Advantage Grand Canyon will find you the perfect raft trip, whose guides are fully aware of all the best camera viewpoints in order to achieve the most incredible shots. From Lees Ferry up to the Phantom Ranch, which makes up the upper grand canyon route, there are ample opportunities to capture stunning memories. Hiking up (at the end of upper grand canyon raft trips) or down (at the start of lower grand canyon raft trips) via the Bright Angel Trail will give you a glimpse into the history of this ancient trail, as well as amazing photographic opportunities. From Phantom Ranch, boat beach or pipe creek beach where all lower canyon participants meet their rafts and guides, you will journey downriver towards Whitmore Wash. One incredible photo opportunity in the lower canyon is Lava Falls. If your guide allows for this viewpoint, we recommend carefully walking across a few lava rock boulders in order to reach an optimum angle and witness raft take on these class 10 rapids. 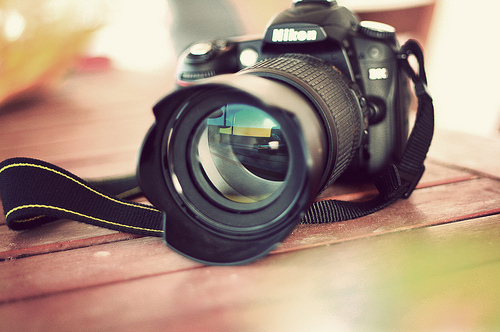 We recommend, if using a high megapixel DSLR camera, to shoot in video mode with active focus. This can ensure capturing the optimal picture as you can pause the video upon playback and screen shot the ideal timing in order to frame that shot on your wall. Again, this will require a high megapixel dslr camera. Moving further west down river, we will pass by Diamond Creek and Separation Canyon where (depending on when you arrive at camp) you will have excellent opportunities to shoot the sun falling over the canyon walls. Immortalize the golden rays of the setting sun in a low-ISO, low-speed, high-aperture setting to create a very dramatic effect to your images. We will match you with your ideal trip based on your needs. Grand Canyon raft trips are an opportunity to create lasting and meaningful memories, captured best through photographic images. As the Grand Canyon is our canvass, you are our artist. Life is a series of experiences, let Advantage Grand Canyon be your guide.